New York Federal Reserve President William Dudley said Monday he still expects that a very strong employment sector will help push inflation up over time. Speaking at an event held by the University of California, Berkeley, in New York, Dudley said that the economy was close to full employment. That situation, he said, should fuel wage gains over time that will eventually filter into broader price pressures and help push inflation back up toward the central bank’s 2% inflation target. Dudley repeated his view that low inflation with low unemployment is “not actually a bad thing,” because it would enable policy makers to “probe” how much lower the jobless rate can go before inflation heats up. 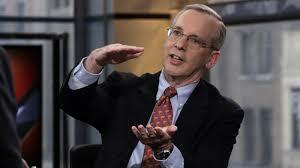 “Most central bankers would say ‘sign me up’ ” for the current situation facing the Fed, Dudley said.